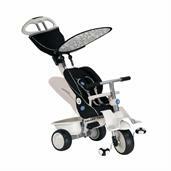 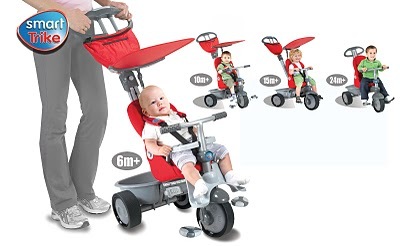 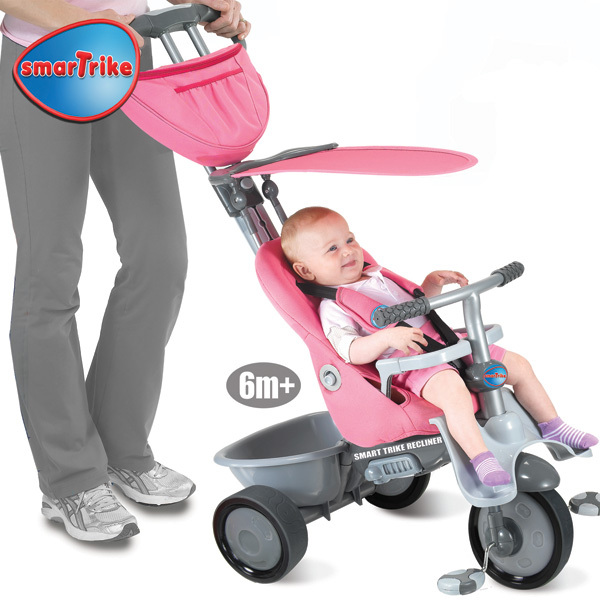 Smart Trike Recliner 4 in 1 provides your child with the safety of a stroller. Attached to the seat is a 5 point safety harness, and safety bar. 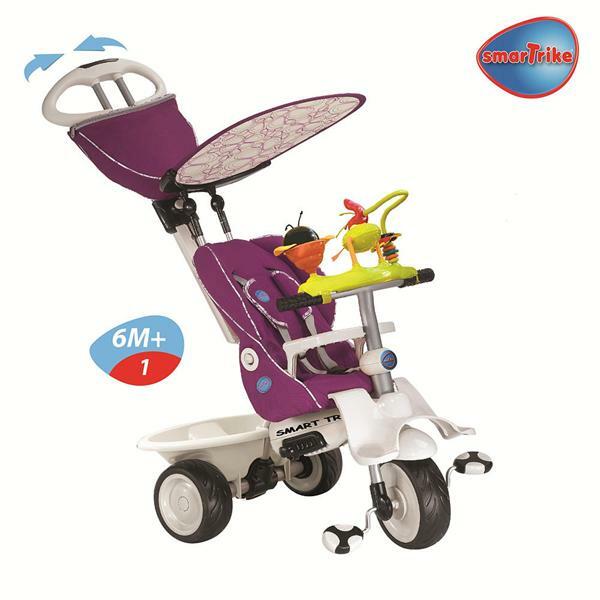 The rubber wheels are better for walking down the road compared to plastic. 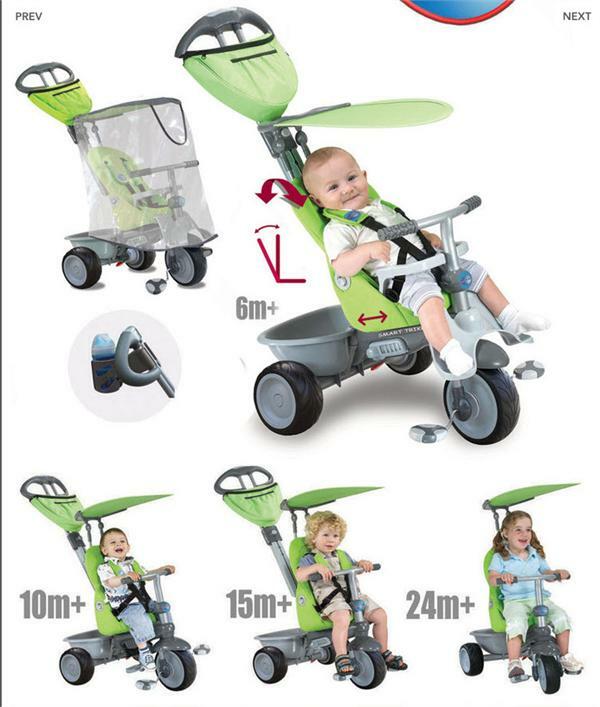 The large seat also reclines for when your child wants to rest or nap while on your adventures together.Also a nice featur is the tilted basket to carry your child's toys. 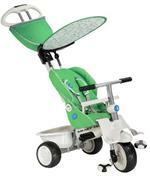 The press out clutch helps for when your child becomes of age and wants to steer and pedal themselves. 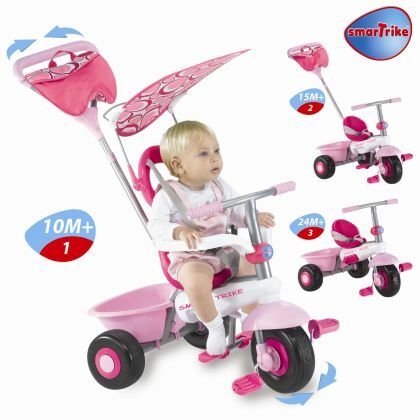 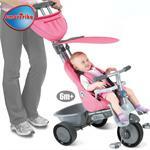 Smart Trike Recliner is a great trike to have as your child grows.